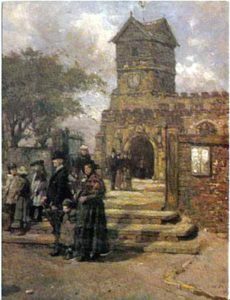 St. Leonard’s or Middleton Parish Church on its hill above the town is by far the oldest building in the area and the oldest in Greater Manchester. It is also the last great unrestored medieval church in the wider Manchester area, having been carefully and sensitively preserved since the 1600s. 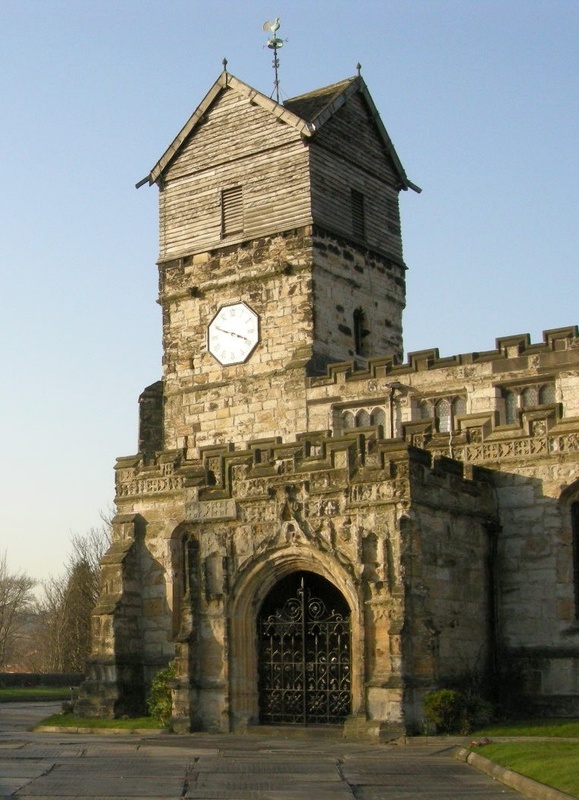 St. Leonard’s Church is listed Outstanding Grade I by Historic England. The ornate time worn Cardinal Langley Porch is one of the outstanding church porches of Lancashire. The wooden tower extension is a quirky feature that is just as unique but not quite as beautiful! The church was first established in Saxon times and was a safe haven for the Holy Island monks carrying Lindisfarne Gospels and the coffin of Saint Cuthbert escaping from the marauding Vikings around 880 A.D. It was then dedicated to St. Cuthbert. The church was rebuilt in Norman times and re-dedicated to St. Leonard. In 1412 it was largely rebuilt by Middleton’s Thomas Langley, who rose to be Prince Bishop of Durham and Chancellor to Kings Henry IV, V and VI. He was also proposed as a Cardinal, but never quite became one. He provided the church with a wonderfully ornate porch, the Cardinal Langley Porch, which is quite unique, especially as it has beautifully weathered over the centuries. In a very early act of conservation, Bishop Langley retained some of the Norman detailing, notably in the unique tower arch. In 1524, Richard Assheton, lord of the manor, remodelled the church and adding a clerestory and possibly, the unusually ornamented porch… all in celebration of his role in the Battle of Flodden 11 years before. The Reformation destroyed much of the interior but many medieval features survived, including Langley’s rood and parclose screens, misericords, brasses and the famous medieval ‘Flodden Window’. After the turmoil of the 1600s, the Georgians added a series of classical monuments in the 1700s but their clumsy balconies were wisely taken out by the romantic Victorian architect, George Shaw, who undertook sensitive alterations and added a rather special pulpit and lectern. 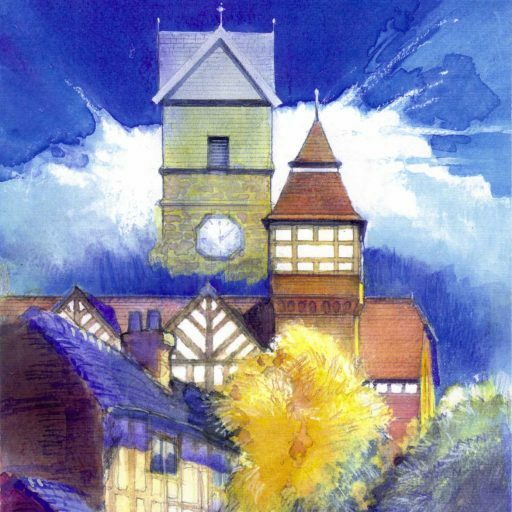 In the twentieth century, Arts & Crafts architect Edgar Wood beautifully restored the roof, added a boiler house and set the church on a route of sensitive change which involved installing beautiful stained glass windows by leading Arts & Crafts designers, including Christopher Whall and A. K. Nicholson. In more recent times a lovely choir practice room designed by the Arts & Crafts modernist designer, George Pace was added to the north side. The church is also open for worship on Sundays and other days, CLICK HERE for details. 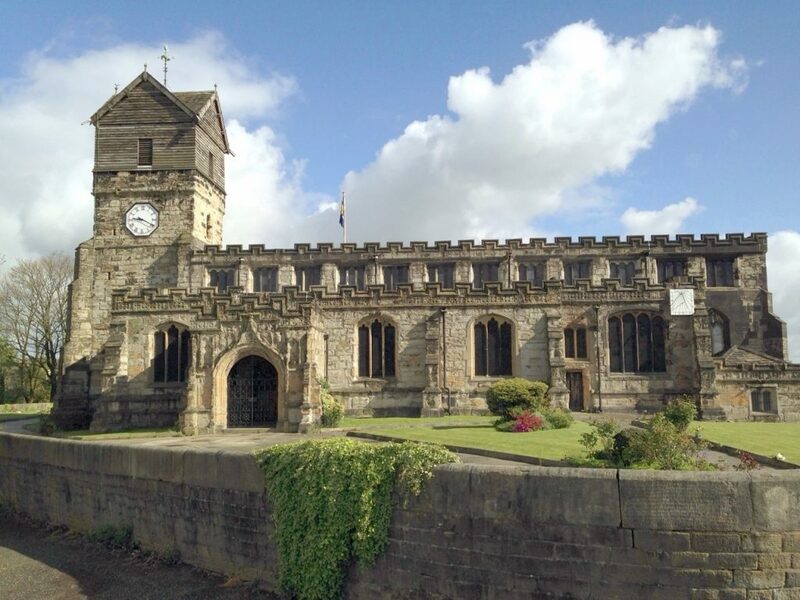 St. Leonard’s Church has recently been successful in bidding for a heritage Lottery grant to carefully repair the external stonework of the building. Click HERE and HERE for more on this.